Lumpy the Dragon is an ongoing series of stories I tell my son. The stories posted here are edited, expanded, and reworked into more reader-friendly versions, but the story arc remains the same as what I originally told. Lumpy art by Colleen Boye. 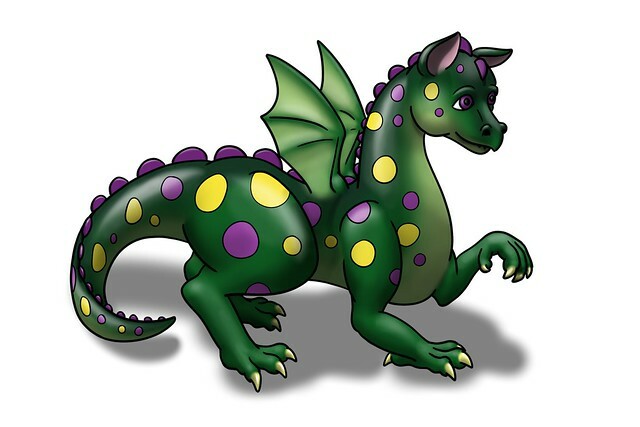 In this introduction to Lumpy, we meet Lumpy the Dragon and the boy for the first time. They team up to save the forest, village, and castle from a rampaging giant through cleverness and bravery. When bullies steal a key Nativity scene statue, Lumpy and the boy use Lumpy’s keen senses and the boy’s persistence to solve the mystery and protect the boy’s family from ridicule. After a decade of friendship with a person, Lumpy can no longer stand by and watch his fellow dragons eat innocent Princesses for dessert. He and the (big) boy team up again to rescue the princess using the boy’s cleverness and expertise. When the Prince becomes too busy to spend time with his draconic best friend, Lumpy goes off to have some aquatic adventures on his own.